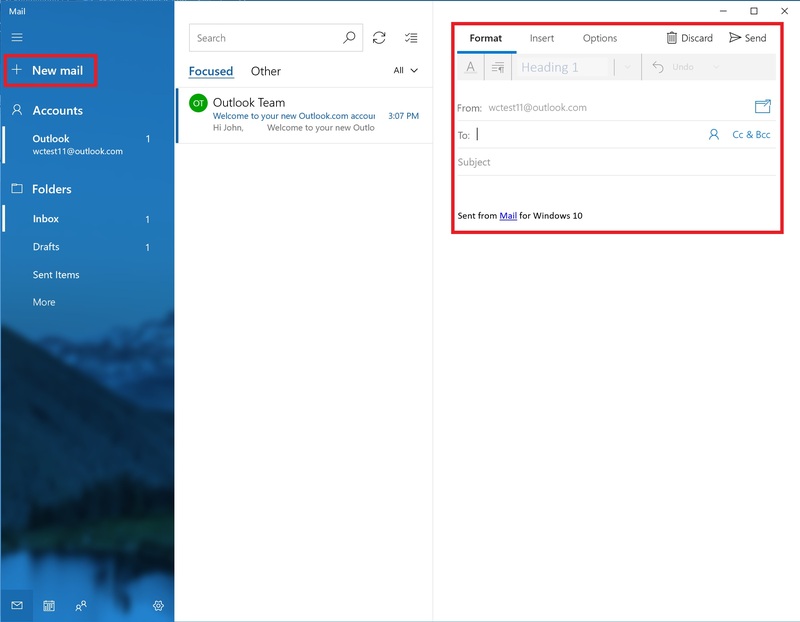 Did you know every version of Windows 10 comes with an amazing email app built-in? Simply called Mail, it combines access to all your emails, folders and calendars, from whatever email services you might use, into one convenient, attractive and simple app. Just a few quick steps sets up the Mail app for any of your email accounts. Then you can say goodbye to signing into multiple ad-cluttered websites for your email and calendars. Let’s get started! 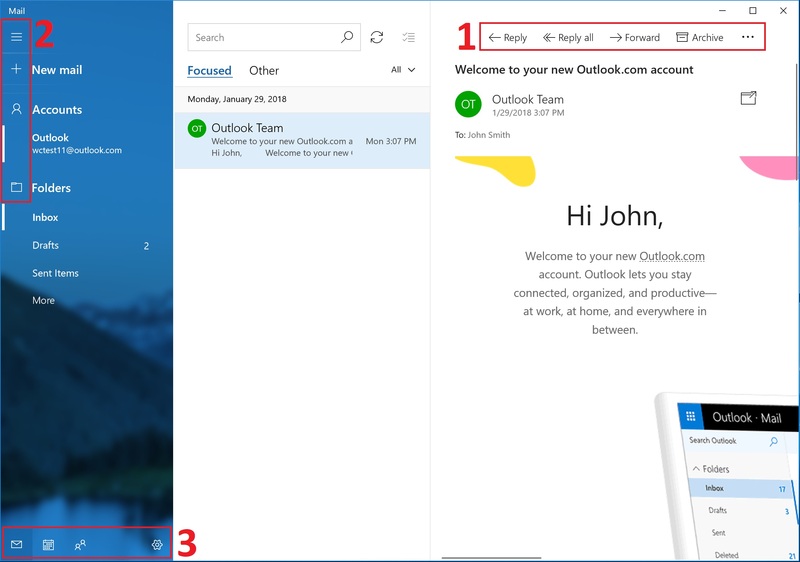 Launch Mail by selecting the Start menu (click the Windows logo on the bottom-left of your screen), then selecting the Mail app from the application list. 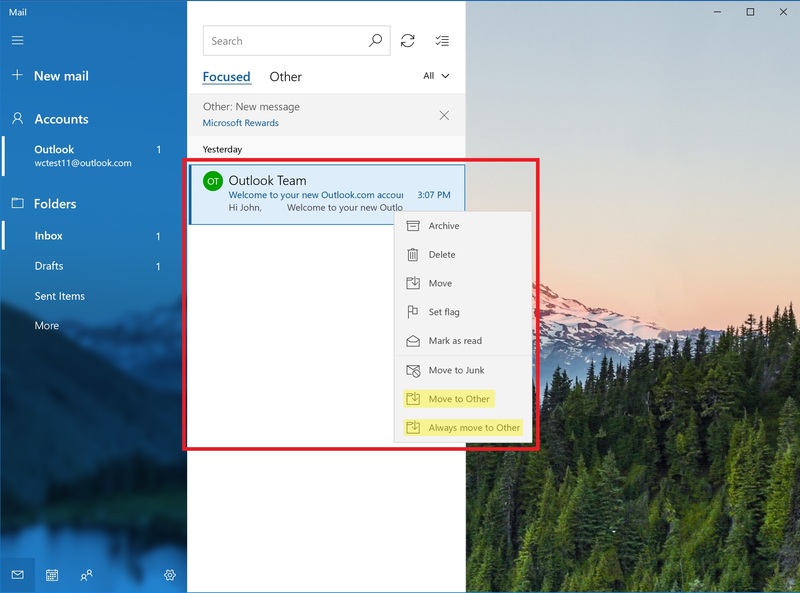 In many computers, the Mail app might already be pinned with a shortcut on your taskbar along the bottom of the screen – look for the white envelope icon. When the app launches, you can connect to any relevant accounts you have already signed into on your computer, or add a new one. Select + Add Account and you will receive a prompt showing the variety of email services that Mail is compatible with. Select the account you want to set up in Mail. Each has a slight variation of steps, but they all include entering the user account and password you use for the email provider. 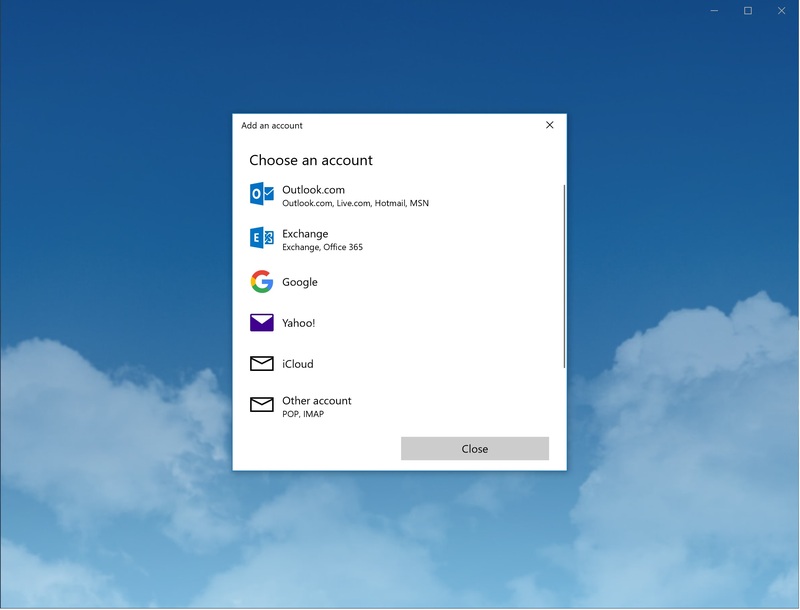 Setting up an email provided by Microsoft (such as Outlook.com, Hotmail.com, Live.com or MSN.com) might require your Microsoft account login. If you’re setting up another service, you might need to give the Mail app permission to access those emails. Keep in mind Exchange is usually used for work-provided email accounts, unless you already know your account uses Exchange. 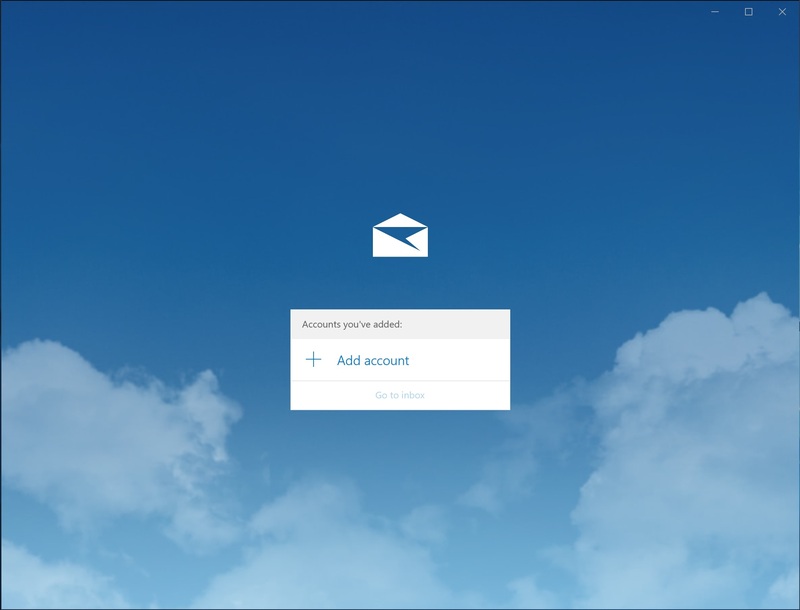 Once you have set up your first mail account, the initial welcome screen returns. You then can add a second account (you can also do this any time), or you can select Go to inbox and start reading your mail! This is what the Mail home screen should look like. 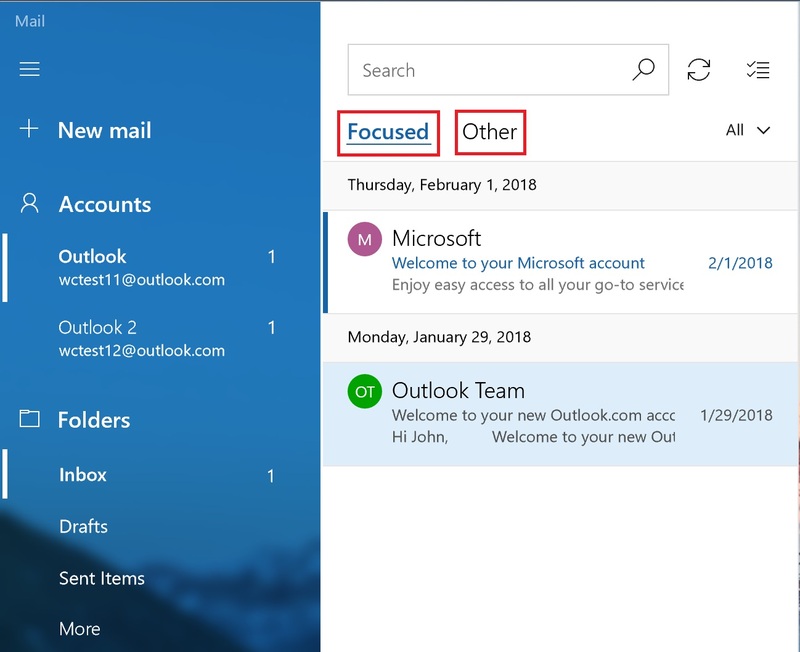 If you’re using Mail for the first time, give it a little time to load your emails and folders, and then things will start looking a bit more familiar for you. The default view has three panes: the left is for navigation between folders and accounts, the middle one shows the emails in the folder you’ve selected, and the right one is the reading pane. When you open a new message it will open in the reading pane (right side) and you’ll also be presented with buttons to reply or forward the message . The other navigation method is at the bottom-left of the window . Here you will see four icons: Mail, Calendar, People and Settings. Use these to open the calendar or contacts portion of the application, go back to email or adjust settings (including adding more email accounts). Writing email with Mail is as easy as it gets! Select + New Mail from the top of your Accounts list and a blank template appears on the right half of the window. You’ll see some fields for To, From and Subject, along with formatting options such as changing your font or inserting photos to your composition. If you are using multiple email accounts, you should pay attention to the From: field; it will show which account you are sending your e-mail from. If you find that it is not the account you would like, select the account you want on the left, then select + New Mail. One particularly powerful feature of Mail is the Focused Inbox function, which sorts your mail to reduce the clutter in your Inbox. Above your message list in the center pane are two email categories: Focused and Other. These categories are made to keep the messages that are most important to you in one place, while hiding the noise of newsletters and extra emails that aren’t necessarily part of your greatest day-to-day interests. Mail even learns your preferences based on the emails you read and reply to the most. If a message goes to the wrong inbox, help it learn by right-clicking the email to move it to where it should go! If you see something in Focused which should be in Other, right-click on the message and select Move to Other or Always move to Other. Likewise, right-click messages you don’t want to be in the Other inbox and select Move to Focused or Always move to Focused. Using the Mail app will help you move more quickly than ever when communicating with others and trying to stay productive. Imagine how much time you can save by opening up all of your accounts with one click instead of logging in to one or more mail sites through a web browser. Using functionality like Focused Inbox is sure to help you focus on what really matters throughout your day. Putting all this in one simple place is definitely a reason to make Mail your go-to-everyday email source. I hope you enjoy using Mail as much as I do!